« Who Are The Occu-Pests? This entry was posted on Tuesday, October 18th, 2011 at 20:18 and is filed under Law, News, Occupy Wall Street, Politics. After roughly two days of grumbling, I expect this would have a dramatic effect on the occu-pests, and they would likely begin to disband, since some of them would of necessity begin to worry about their jobs. Of course, this could only happen if New York had a decent Mayor, willing to take such a stance. Residents of New York shouldn’t hold their breath for such an outcome, because Bloomberg has already demonstrated his political cowardice throughout this entire fiasco. On the other hand, I’m certain some segment of New Yorkers support all of this, and a decent mayor would be figuring out creative ways that they could bear the costs. 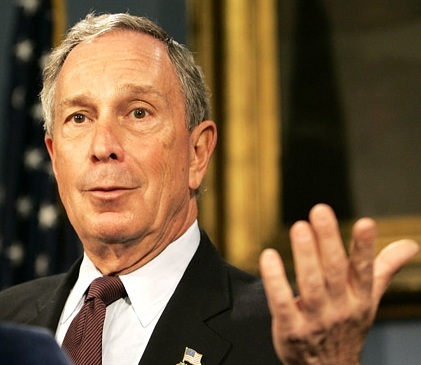 Of course, since from all appearances, he’s one of them, nobody should be counting on Bloomberg to do the right thing. Ever. What have we come to when it is PC to allow the law to be broken? And that goes for the Mayor and the President. Someone….no….we need to hold them accountable.